Playing like a Warner Brothers release that might have starred a feisty Jimmy Cagney tangling with hoods in the trucking business and sparring with Ann Sheridan, this Universal Studios flick of the “B” class stars the Duke himself in a rare non western role from this time period. It’s a 67 minute programmer that gives us John Wayne fans an opportunity to see him doing something a bit different and it’s sure to cause smiles and chuckles. Right from the opening scene I caught myself grinning when Duke pulls up in front of a schoolhouse to pick up the local children. He’s the bigger than life bus driver! It’s the girl he’s sweet on, Louise Latimer, whose brother has his own truck and is involved in the tough racket of hauling loads and meeting deadlines while working for shady businessman that becomes our focal point for Duke. It won’t be long before Duke gives up the kiddies and joins Emerson Treacy in the trucking business, cementing his relationship with Latimer. 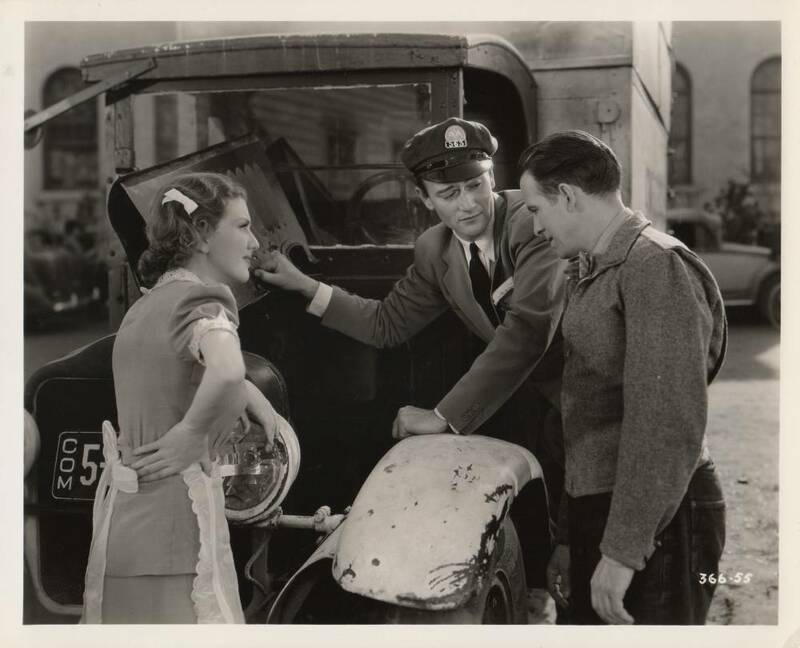 That is until…..
Against the wishes of his lady love, Duke signs himself and Treacy on to deliver a truck load of Nitro across some rough terrain. No this isn’t an earlier version of the famed Wages of Fear or it’s remake Sorcerer, though the thought did cross my mind. 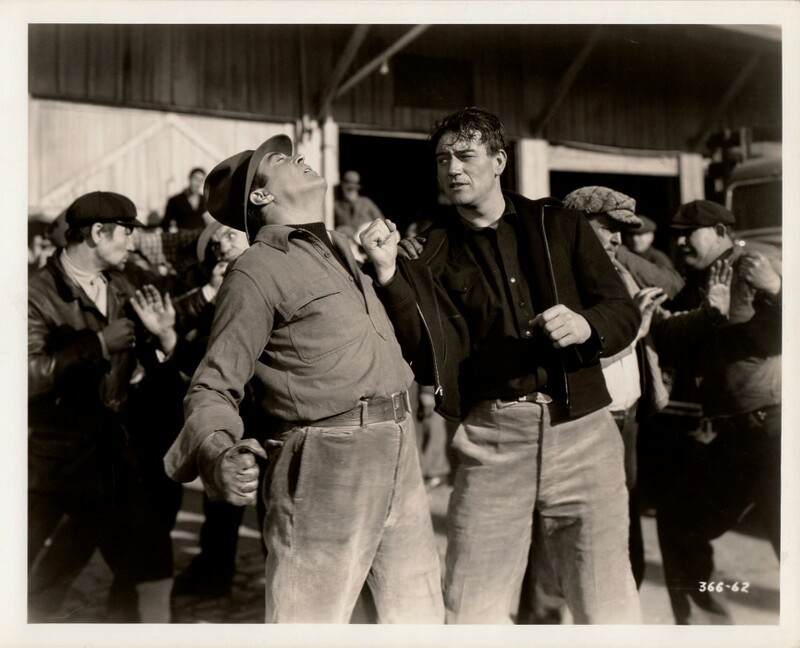 When Duke is waylaid in a county jail for public brawling, Treacy takes the truck only to meet his demise due to some shady road signs set up by the competition and villains of the plot, LeRoy Mason and Theodore von Eltz. Duke’s leading lady breaks off the romance, blaming the death of her brother on the big man. 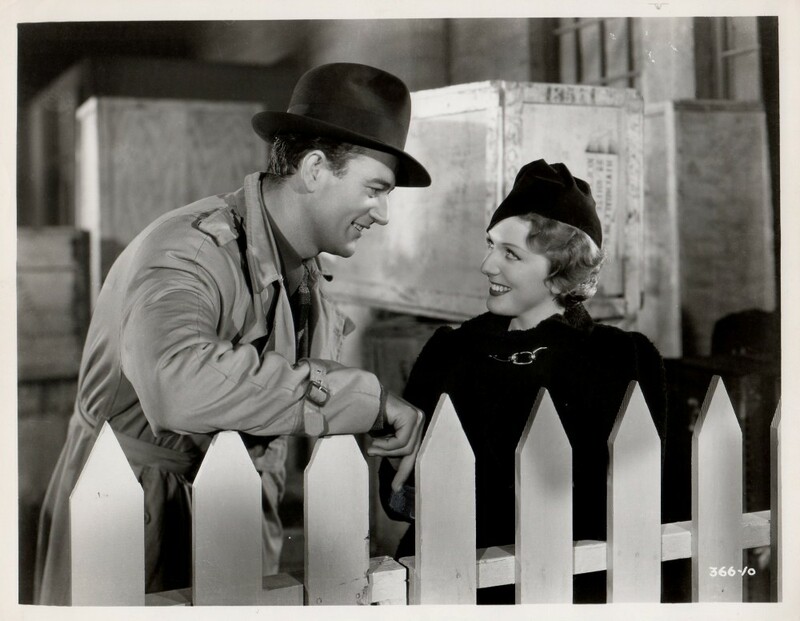 Tail between his legs, Duke sets out to make good while villain von Eltz moves in on his girl. It isn’t long before he begins standing up for himself down at one of the local trucking companies and thanks to a fun relationship with the elderly company owner, Duke quickly moves up the ladder of success finding himself a foreman and trying to police the industry. Like any John Wayne character, this one won’t stand for any wrong doing or injustices. Unaware of the wrongful death of Treacy, Duke places his trust in von Eltz only to find out the routes his truckers have signed on for have been double crossed, setting Duke on a path of vengeance. First with his fists, secondly by arranging a trucking convoy that will go mile vs. mile against the cross country train that von Eltz controls. With plenty of montage sequences and special effects courtesy of John P. Fulton, there is a lot of excitement packed into this black and white programmer from director Arthur Lubin. Sure the plot is telegraphed and you don’t need me to tell you how it’s going to end but getting there with Duke makes the whole truck ride quite enjoyable. Where else are you ever going to hear John Wayne sing, “Merrily we roll along, roll along, roll along.” I’m not kidding! I have no idea if this is a readily available John Wayne effort from this era. It’s not one that shows up in those bargain bin collections of his early westerns like Randy Rides Alone or Hell Town. I’ve always said I can find movies anywhere and this title is a great example. This past summer while vacationing on Prince Edward Island, I stopped by a roadside antique shop and found a large collection of Duke VHS movies and a couple DVD’s and there it was on disc with a couple other odd titles that were obviously from a fans’ personal collection. 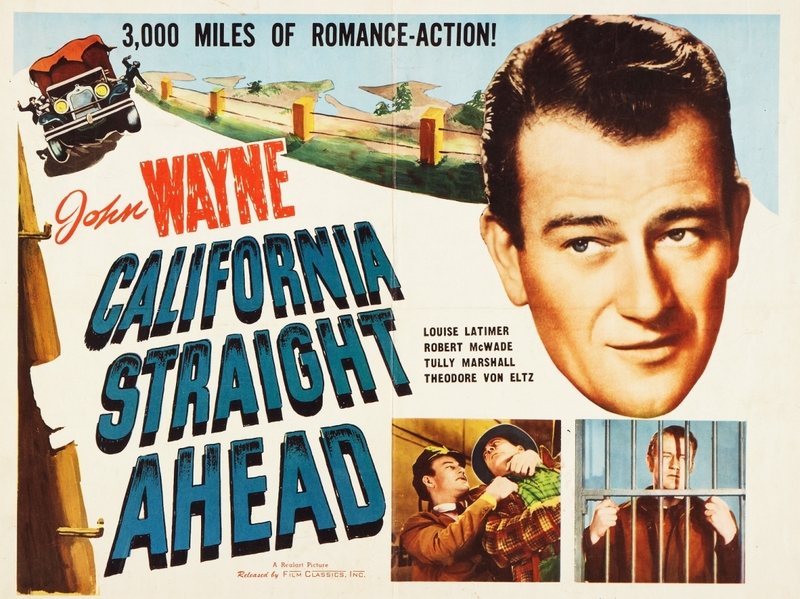 A poor man’s version of a Warner Brother’s outing this may be, but it’s a great time capsule and a little extra special knowing it’s an early John Wayne movie.